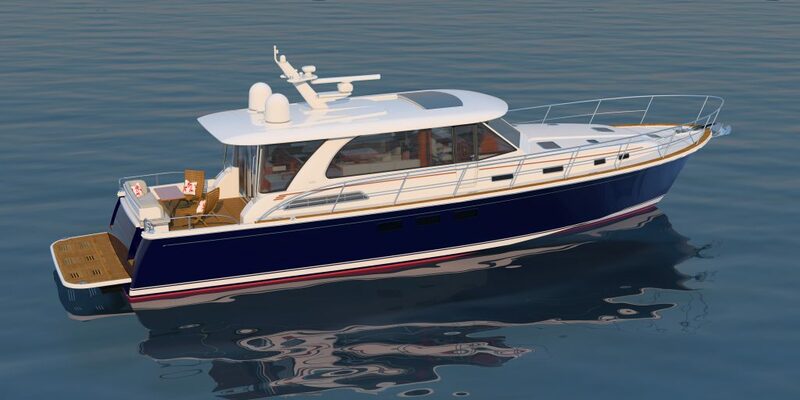 The 58 Salon Express design features large windows to flood the living areas in natural light, and a main door that opens fully from port to starboard, comfortably merging exterior and interior spaces. Located aft within the pilothouse, her fully-equipped galley boasts a u-shaped counter to port with cooktop, sink, and ample under-counter storage, balanced to starboard with another stretch of linear counter and storage. From there, a single step accesses the salon, and the helm deck, creating a graceful and practical social space. Below deck, the 58 Salon Express houses three cabins each with en-suite head and shower, and including an expansive, full-beam master stateroom with a walk-around king berth, a generously proportioned head and shower unit, and abundant storage. Join our email list to receive exclusive content and updates on the Sabre 58 Salon Express.